I haven't been especially good at keeping to my resolution of posting two to three times a week, but I've had a pretty challenging start to 2018, which has kept me away from my little Coco world! Nevertheless, it's onwards and upwards and I'm back with a bit of an outfit post. Having a December 25th birthday, usually means not much celebrating during the Christmas period, and lots of celebrating in the new year. The start of 2018 was no exception; I celebrated my birthday with my Mister on a bright early-January Saturday afternoon. We had a fabulous meal at Chaophraya, a fabulous Thai restaurant in Newcastle. The food was exceptional; but this is not a food blog...we all know we're really here to chat about what we wore (I'd definitely recommend the restaurant though and we'll definitely be going back!!!). 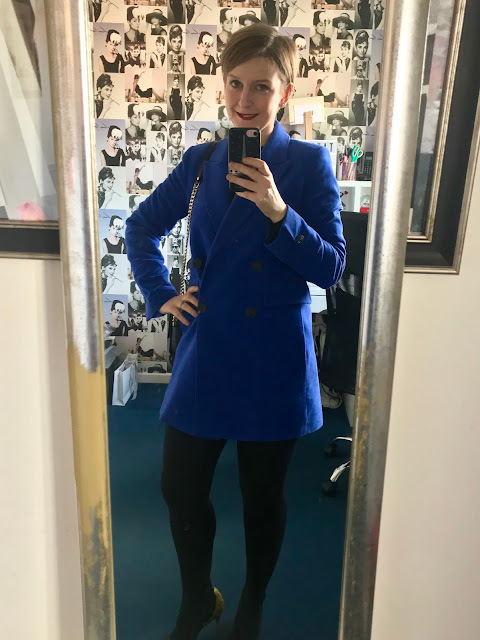 ...and then for my birthday tea with my gorgeous friend Krissi, I teamed it with a pair of black Aquascutum jeans and my trusty blazer by The Kooples. I must perfect a new pose! Krissi and a Kooples jacket, two of my fave K's! So, for birthday outing one, my Mister looked rather handsome in Kenzo. We're a little Kenzo obsessed at the moment (read about our purchases here). We had a lovely afternoon, stuffing our faces with beautiful food, sharing pink fizz, and ending the evening with cocktails. Cocktails and Cavalli..the perfect combination! My birthday outing number two with Krissi was much of the same! Fabulous food, lots of giggles and beautiful cocktails, it was the perfect way to celebrating turning 32 (and doing it in style!). It was Thai food again for outing number two, this time at Fusion at Ramside, a great restaurant and a wonderful night! 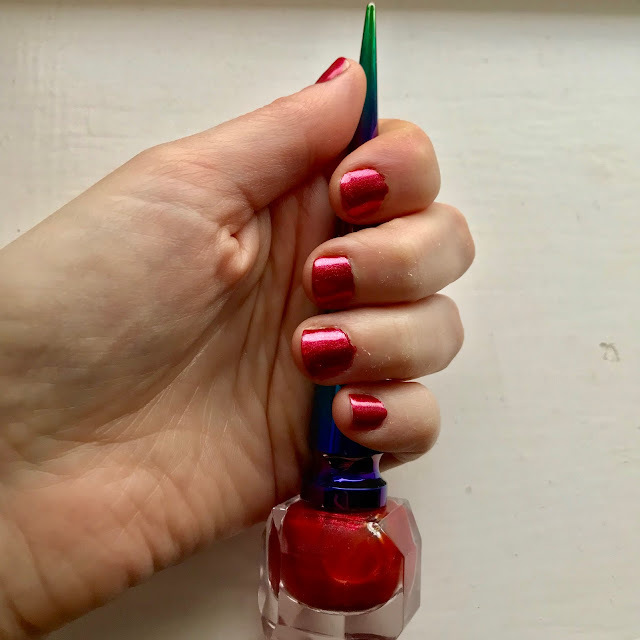 I test drove my new Louboutin nail polish...A-MAZ-ING! Carrie eat your heart out-it's always a Cosmo for me! Miss K looking fabulous as always! Here's to a positive 2018! 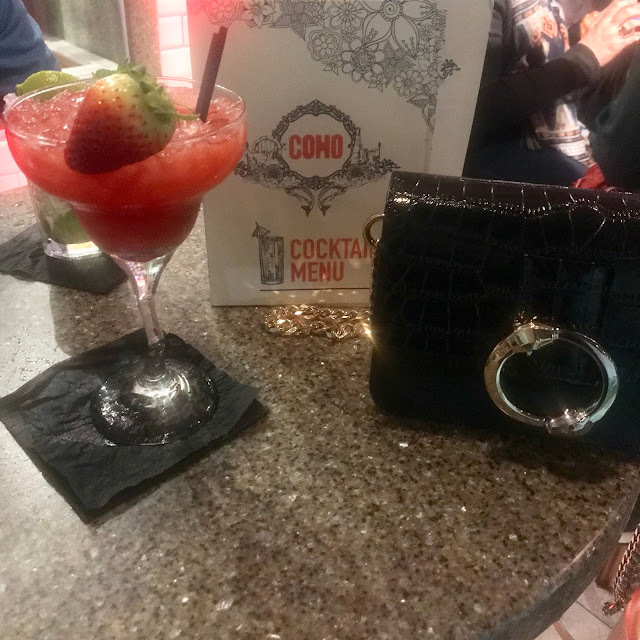 Great post Kayleigh - encapsulating the essence of your celebrations, Christmas, cocktails not forgetting Kenzo, all in a few shor beautifully illustratedt paragraphs. Love your fantastic fashion notes, and the Thai food tips too. Happy 2018, it’s onwards & upwards girlie!